ACC Critical of Foster Farms’ Failure to Recall Salmonella-laced Chicken from Grocery Stores. ACC Calls on Detergent Makers to Fix Tide Pod Product. SecurityPlus Federal Credit Union Supports Mid-Atlantic Consumers and Businesses. Garden Savings Federal Credit Union Champions Financial Loans for Students and Consumers in Western PA.
ACC’s Friend of the Consumer Award Recognizes Mortgage Marvel of Wisconsin. 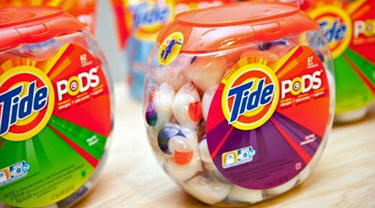 ACC Calls on Procter & Gamble and Dopps to Fix Tid Pods Safety Problems. The American Consumer Council has called upon its members to contact The Procter & Gamble Company and Dopps, the makers and sellers of Tide Pods, and demand they strengthen the safety features of their product. The Tide products’ Consumer Relations telephone number is: Toll-free at 1-800-879-8433 and can be reached: Monday through Friday, 9:00AM to 6:00PM EST. According to a recent ABC News report, to some kids, the bright colors and bite-size packaging of single-doss packets of laundry detergent look too much like candy. A large number of young children have consumed the Tide Pods and suffered serious repercussions including severe nausea, vomiting and diarrhea. The packets are advertised as no more mess, spills or heavy jugs of detergent, but the American Association of Poison Control Centers is reporting a recent surge in calls about the packets making children violently ill.
“The children who are getting into these little pods are developing many more symptoms than we would have expected,” Bruce Ruck, director of drug information and professional education at New Jersey Poison Center, told ABC News. The same thing that gives the packets their cute, convenient appeal is the very reason they are so incredibly dangerous. Responding to the concerns, Tide told ABC News it plans to have new child proof containers out this summer and the detergent company, Dropps, defended its products. The single dose laundry detergent was introduced in the U.S. in February. The poison control center said it first started to link illness with the pods earlier this month. In the last 20 days, it has received close to 180 calls, almost 10 a day. Texas poison control centers report receiving 57 of those emergency calls. Toxicologists aren’t sure exactly what in the product is making the kids sick. Other laundry detergents cause only mild stomach upset or even no symptoms at all. But the pods cause severe symptoms rapidly. There are multiple reports of toddlers who, within minutes of swallowing or biting into one of the packets, developed vomiting, wheezing and gasping. Some of them became non-responsive or had to be put on ventilators or intubated. While a sticker on the container is supposed to remind parents to keep the product away from kids, poison control is sending out an even stronger message: keep this eye candy out of reach and out of sight. 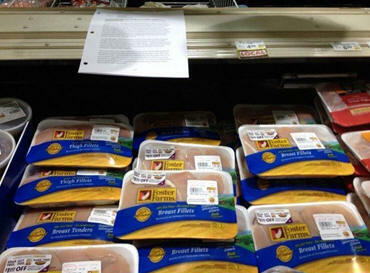 American Consumer Council Calls on Foster Farms to Recall Salmonella-Tainted Chicken from Grocery Stores. The affected Foster Farm products include strains associated with an outbreak that has sickened at least 280 people in 17 states. Based on a multiplier used by the Centers for Disease Control and Prevention, which assumes that for every known case at least 25 go unreported, the outbreak includes perhaps 7,000 people. USDA Food Safety and Inspection Service (FSIS) recently reviewed Foster Farms’ safety plan for its three California facilities in Livingston and Fresno. This follows Foster Farms’ implementation of several new food safety controls over the last two months and the company’s commitment to install added processes during an enhanced inspection period over the next 90 days. The group, which tests food and consumer items, said the public should steer clear of any raw poultry from the company's plants in central California. Last week, the U.S. Department of Agriculture sent letters to the Foster Farms plants in Fresno and Livingston, saying the company had three days to clean them up. Tests on chicken parts and whole birds by Consumer Reports turned up a "high frequency" of Salmonella. Most of the suspect poultry was shipped to Oregon, Washington and California, which has reported more than 200 cases of sickness. Consumer Reports said the chicken was sold under a variety of brands, including Ralphs, Safeway Farms, Simple Truth Organic, O Organics, Eating Right, Kirkland Signature and Open Nature. Consumer Reports said Kroger has pulled all raw chicken products from the plants from its family of stores. All of the packages from the plants have the following numbers within the USDA mark of inspection: P-6137, P-6137A and P-7632. Consumers should be careful handling and cooking raw poultry products. Meat should be double bagged, kept away from other food, chilled and cooked to an internal temperature of 165 degrees. Garden Savings Federal Credit Union is a full service financial institution that was founded in 1968 and today stands at over $200 million in assets. The credit union was founded by the employees of AT&T Bell Laboratories and serves over 14,000 members from over 100 organizations and communities at this time. Headquartered in Parsippany, NJ with branches in Newark and Murray Hill, NJ as well, Garden Savings strives to provide their members with a top flight banking experience. The credit union offers a wide variety of financial products and services in both deposit and lending. Highlighted products include the credit union’s “Diamond Checking” account which is an absolutely free checking account (no minimum balance requirement and no monthly maintenance fee) that offers ATM refunds. No matter what ATM you use, anywhere in the United States, Garden Savings will refund the surcharges from those ATMs up to $20 per month provided any electronic direct deposit is going to the Diamond Checking account each month. Garden Savings also features certificate rates (the equivalent of CDs at banks) that have garnered national attention for their competitiveness. Garden Savings also features a full menu of loan products, from Visa Credit Cards to Personal Loans, Automobile Loans and First Mortgages (both fixed rate and adjustable rate). They also offer fixed rate home equity loans and variable rate home equity lines of credit that are priced extremely competitively. The credit union welcomes refinancing opportunities in their quest to lower payments for their members and help those members to achieve their individual financial dreams. They have unique relationships with several business partners that can help to make the car buying and home buying processes a lot more pleasant. All account access services, such as on-line banking, on-line bill payment, debit cards, and audio response tellers, are also absolutely free. 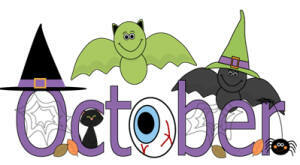 Garden Savings FCU can be reached directly at www.gardensavings.org or by calling 888-554-9328. Founded in 1938, our original charter was to serve the financial needs of employees of the Social Security Administration. Today we are one of the largest credit unions in the state of Maryland and provide financial services to meet the needs of more than 35,000 members, with $350 million in assets, representing our core common sponsor groups and select employee groups, as well as anyone who lives, works, worships or attends school in the City of Baltimore. the addition of new and enhanced products and services. 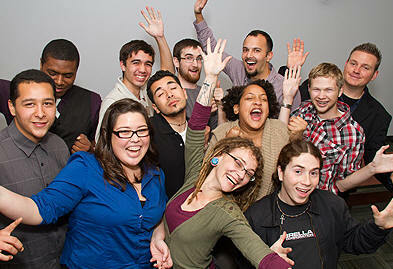 Credit unions continue to grow in financial strength. Their insurance fund, the NCUSIF (National Credit Union Share Insurance Fund) is the strongest of the Federal deposit insurance funds. Established by Congress in 1970, this fund is managed by the National Credit Union Administration (NCUA), and insures members' deposits for up to $250,000. IRAs are insured individually to an aggregate of $250,000. To become a member of SecurityPlus, please contact their Call Center at 410-965-8908 or 1-866-4SECPLUS, or contact them through their online contact form. The American Consumer Council and Maryland Consumer Council are pleased to have SecurityPlus FCU as a sponsoring member! The creators of Mortgage Marvel saw already in the late 1990s that the Internet had the potential to aggregate and deliver mortgage-related information to consumers and to respect their privacy while doing so. Executives at Mortgagebot, the company behind Mortgage Marvel, made the first version of the website as a way to make side-by-side comparisons with the few companies that were providing rate quotes online. Today, about 1,000 lending institutions rely on Mortgagebot for the computing solutions they need to process loans online. 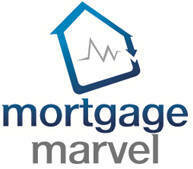 This customer base is the driving force behind today’s Mortgage Marvel. Hundreds of quality lenders throughout the United States, like community banks and credit unions, take part in Mortgage Marvel, making available real-time information about their rates, closing costs and the impact that paying points will have on payment schedules. Consumers using Mortgage Marvel can do so without revealing their identity, and they have access to complete, solid, accurate information from lenders who are ready to do business with them. Is your company or organization a Friend of the Consumer? Are your policies and corporate practices winning the hearts, minds and wallets of customers? 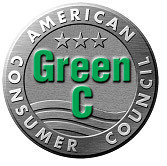 If so, you should apply for The American Consumer Council’s prestigious Friend of the Consumer Award.